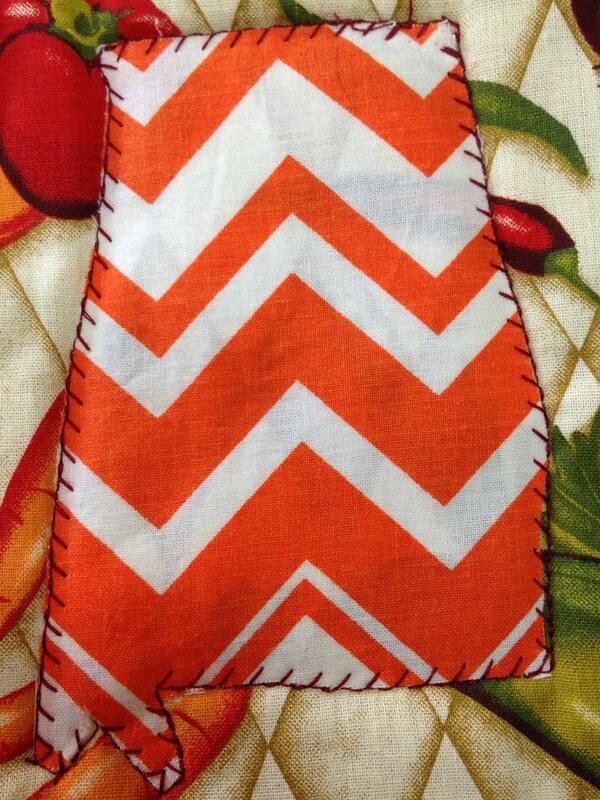 Pot holder with the state of Alabama in an orange and white cheveron pattern sewn on front. This cute pot holder is perfect for the Auburn fan in your house! 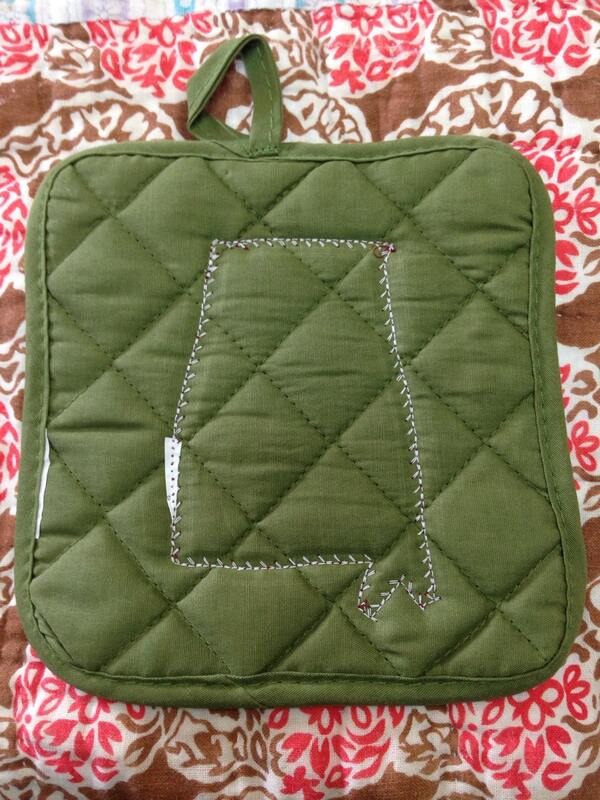 The potholder is made by kaleidoscopes designs located here in Tuscaloosa. The pot holder is 7 inches long and a little over 6.5 inches wide. 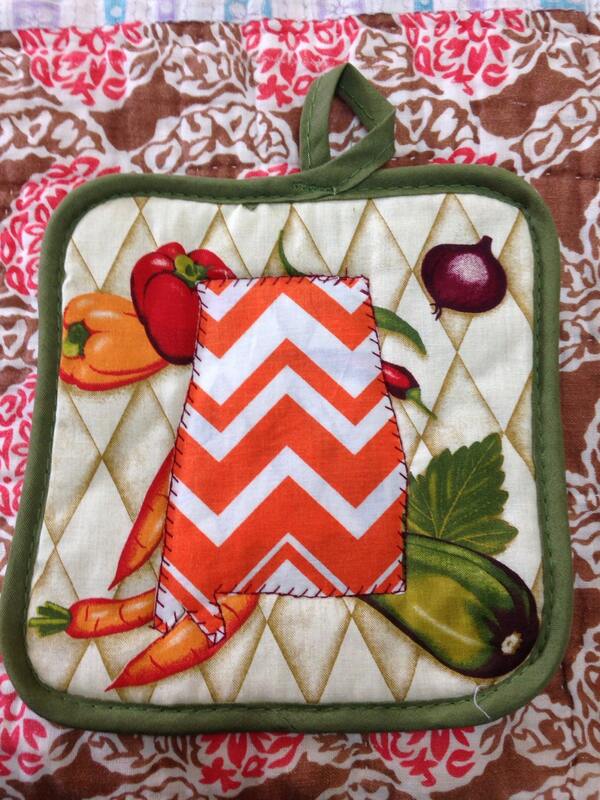 The pot holder has different vegetables on it with a chevron print of orange and white as the state of Alabama.